The Reeves ‘Stories Seen Through a Glass Plate’ team is working on a new project to mark the centenary of the 1918 Representation of the People Act which gave some women the vote for the first time and also significantly increased male suffrage. We are researching – with the help of local volunteers – the people and places in Lewes connected to the suffrage movement, highlighting women’s contribution to civic life and the wider impact of the Act. 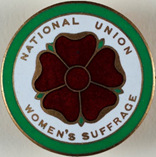 We will explore what material we can find in the Edward Reeves Archive and what artefacts relating to the suffrage movement have been kept by the people of Lewes and what can we find in the County Archive, London School of Economics Women’s Library and British Library. The research will culminate in an exhibition in Lewes Town Hall from 13 December 2018 to 2 January 2019. We will be telling the story of the suffrage debate in Lewes. The exhibition will draw on images from the Edward Reeves Archive as well as images sourced through the online forum ‘Lewes Past’, local newspaper archives and public contributions. We will trace shades of opinion in the local suffrage story (suffragist, suffragette and anti-suffrage) and make links to wider issues such as the First World War and the enfranchisement of returning soldiers. We will include key events such as the imprisonment of suffragettes in Lewes prison, the first women to take up civic positions and local traditions such as the inclusion of ‘suffragettes’ in contemporary Lewes bonfire parades. If you would like to get involved or have stories from your family, photographs or memorabilia you would like to share for the exhibition, please contact us: info@reevesarchive.co.uk. This is a Reeves Archive project in partnership with Lewes Town Council and the London College of Communication, UAL and the Lewes History Group.